Will Idhu Namma Aalu be a turning point in your career? I wanted to deliver something to my fans, who have been waiting patiently for my film’s release. I wanted to continue acting only for them. Next year, I have plans to direct a film. I don’t know what to tell if you ask me about my films. Like before, I am unable to say in a cinematic fashion that this film will be like this or that. I am in a different mindset now. I have done my job well in Idhu Namma Aaluand Vaalu and hope the audience like it. Finally, a release after two years… Why do you think your films have been delayed? A two-year gap does not matter to me. I myself was planning for a three-year break and before that, these two years happened. Actually, I have completed four films in these two years. All films have got stuck at the wrong place at the wrong time for various reasons. Everybody goes through such a phase and I also went through it. We will soon start releasing the films, one by one. 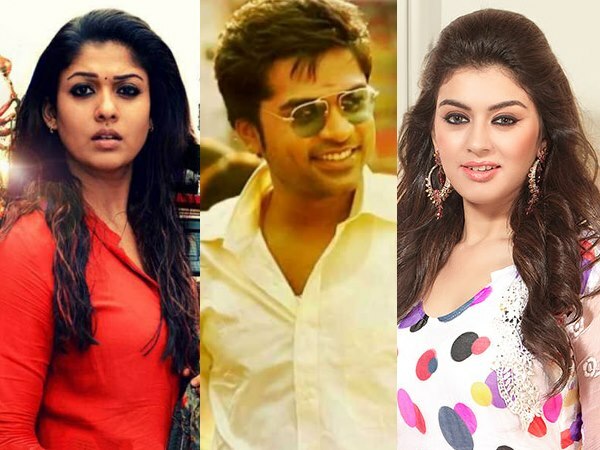 Vaalu will come soon and Vettai Mannan is very much on with just one schedule left to be shot abroad. I am not going to gain anything by delaying my own films’ release and no one will do that. You have decided not to have the ‘young superstar’ tagline from the next release. So, will there be any change in the choice of your films too from now? So far, I have done some films for my fans, and certain films for the masses. I have also acted in a few movies for the class audiences. From now, I don’t want to target a particular group. I want to do films that everybody can enjoy. I am planning to act only in two films a year. I will ensure that those two are good films. Earlier, only cinema mattered to me. Since childhood, I didn’t know anything other than cinema. But now, I feel that cinema is just a part of me and there is much more to life than acting in films. I want to work in a relaxed mode and I don’t want the “young superstar’ title pressure on me. Hence the decision. There are rumours that you do not turn up on time for shoots? Yes, I admit that I turn up late. But I am not cheating anybody in this. I do not assure the team that I will be there at 7 am and turn up by 11 am. I am always open about it. I always tell them that I will only be able to come late in the morning. This is because sleep pattern is something that one cannot change suddenly. I am used to working in a different way. At the same time, if a director wants me for a sunrise shot, I have been there on time. If there is a minus, I do have a plus point. I have never taken more than a take to complete a shot. I have never wasted time on the set and people must see my pluses rather than complaining about my minuses. We met at a party and started talking with each other. I just talk to her on the set and if I see her in a public function. There is nothing more to it. I have been hanging out with Dhanush also these days. He also comes home and we play video games together. Earlier, there were a lot of people who were playing games with us as we were not talking with each other then. Now, after we started talking to each other, the middle ones have vanished. Within a few months of announcing your relationship with Hansika, you announced your break-up too. What happened? I have always been open about my relationships. I announced it because I didn’t want to live in constant fear like what if someone sees and someone comments. For the same reason, I announced the break up too. Anybody can be in a relationship, but when it comes to marriage, there are certain things that need to be considered. There are certain issues that cannot be discussed. So, we both decided not to talk openly about it. How do you cope up with a break-up? It is actually very tough to cope up with a break-up. There are so many of my friends who cry about their break-ups to me and I console them. When it comes to me, I should only take care of myself. During my earlier break-ups, I would be depressed and travel long distances to come out of it. Those break-ups disturbed me a lot. But after my break-up with Hansika, I was normal from day one as I had the maturity to accept it and move on. I really don’t know. But I don’t want to for some time. I am happy with the current phase of my life. I don’t need to feel bad for being single; as if all the married couples are very happy. Only when you go deep into each and everyone’s home, you get to know whether they are truly happy or not.